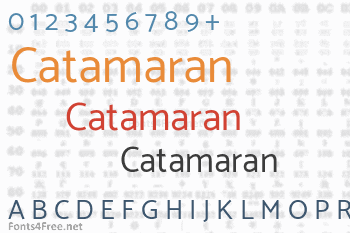 Catamaran is a Unicode-compliant Latin and Tamil text type family designed for the digital age. The Tamil is monolinear and was designed alongside the sans serif Latin and Devanagari family Palanquin. Catamaran font contains 408 defined characters and 333 unique glyphs. 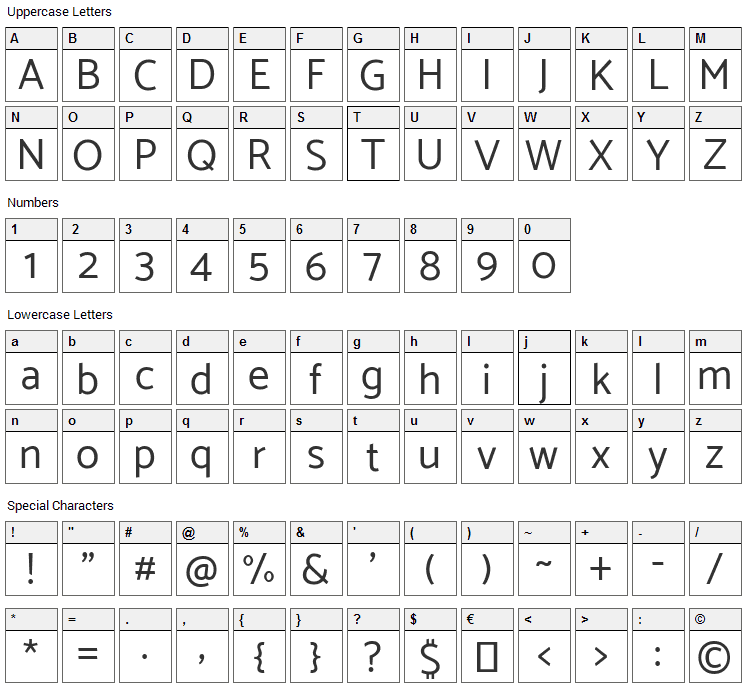 The font contains characters from the following unicode character ranges: Basic Latin (93), Latin-1 Supplement (96), Latin Extended-A (85), Latin Extended-B (5), Spacing Modifier Letters (9), Greek and Coptic (1), Tamil (72), General Punctuation (18), Currency Symbols (3), Letterlike Symbols (4), Mathematical Operators (14), Geometric Shapes (2), Private Use Area (1), Alphabetic Presentation Forms (2). Catamaran is a basic, sans-serif font designed by Pria Ravichandran. The font is licensed under SIL Open Font License. The font is free for both personel and commercial usages, modification and distribution. In doubt please refer to the readme file in the font package or contact the designer directly from plus.google.com. 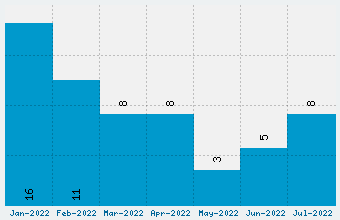 Catamaran font has been rated 4.8 out of 5 points. A total of 6 votes cast and 0 users reviewed the font.